The Curve 3 Drawer Chest offers extensive storage opportunity whilst accommodating to any bedroom style or theme. The solid white oak complements any bedroom, whilst maximising storage space so you can make the most of your bedroom. Crafty finishes make the modern The Curve 3 Drawer Chest suitable for any stylish home looking for discrete storage solutions featuring three equally sizes drawers for organisation of clothing and belongings. A beautiful solid white oak combined with oak veneers gives the Curve 3 Drawer Chest a seamless, modern finish. The curved edges and clean lines display a timeless fashion which screams contemporary living. The Curve 3 Drawer Chest displays recessed handles which offers discretion to your storage solutions, giving the entire room a pristine image. Finished with a waxed oak, the Curve 3 Drawer Chest is durable in its style and will retain its beauty. The three storage drawers are crafted from solid oak wood and complemented with dovetail joints to ensure maximum quality and character. The Curve 3 Drawer Chest presents conveniently placed, generously spacious drawers available to de-clutter and organise your bedroom. The recessed handles crafted from solid oak and waxed coating provide a stylish door to your belongings, making the Curve 3 Drawer Chest a fashionable solution to storage. 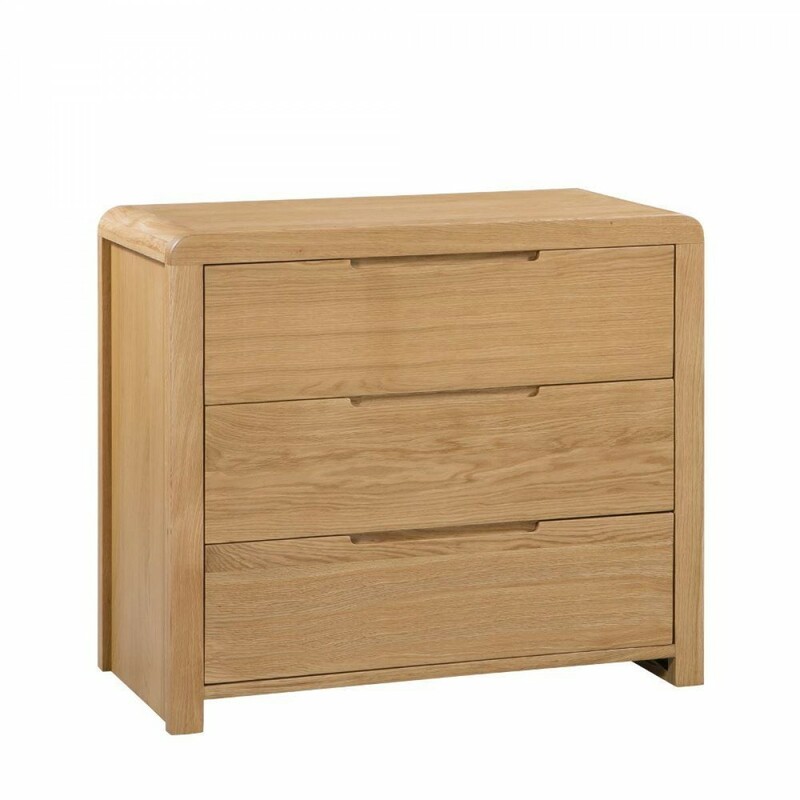 The Curve 3 Drawer Chest arrives at your door fully assembled for you to enjoy the benefits of an organised bedroom immediately. The full Curve collection is available online for you to shop and coordinate to your Curve 3 Drawer Chest at your own leisure. The product is part of the Curve Oak Bedroom Furniture Collection.